The R type provider enables smooth interoperation between R and F#. The type provider automatically discovers installed packages and makes them accessible via the RProvider namespace. R type provider for F# automatically converts standard data structures betwene R and F# (such as numerical values, arrays, etc.). However, the conversion mechanism is extensible and so it is possible to support conversion between other F# types. The Deedle library comes with extension that automatically converts between Deedle Frame<R, C> and R data.frame and also between Deedle Series<K, V> and the zoo package (Z's ordered observations). This page is a quick overview showing how to pass data between R and Deedle. You can also get this page as an F# script file from GitHub and run the samples interactively. To use Deedle and R provider together, all you need to do is to install the Deedle.RPlugin package, which installes both as dependencies. Alternatively, you can use the FsLab package, which also includes additional data access, data science and visualization libraries. If you're not using NuGet from Visual Studio, then you'll need to manually copy the file Deedle.RProvider.Plugin.dll from the package Deedle.RPlugin to the directory where RProvider.dll is located (in RProvider/lib). Once that's done, the R provider will automatically find the plugin. The first sample uses the Value property to convert the data set to a boxed Deedle frame of type obj. This is a great way to explore the data, but when you want to do some further processing, you need to specify the type of the data frame that you want to get. This is done on line 7 where we get mtcars as a Deedle frame with both rows and columns indexed by string. 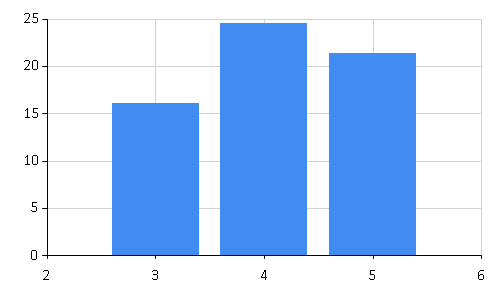 So far, we looked how to turn R data frame into Deedle Frame<R, C>, so let's look at the opposite direction. The following snippet first reads Deedle data frame from a CSV file (file name is in the airQuality variable). We can then use the data frame as argument to standard R functions that expect data frame. 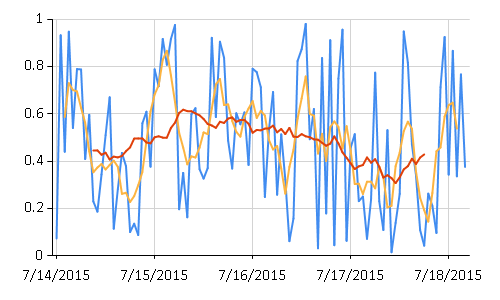 For working with time series data, the Deedle plugin uses the zoo package (Z's ordered observations). If you do not have the package installed, you can do that by using the install.packages("zoo") command from R or using R.install_packages("zoo") from F# after opening RProvider.utils. When running the code from F#, you'll need to restart your editor and F# interactive after it is installed. Typically, you will not need to assign time series to an R variable, because you can use it directly as an argument to functions that expect time series. For example, the following snippet applies the rolling mean function with a window size 20 to the time series.